The NOVAtouch series are the instruments of choice for hundreds of labs globally. 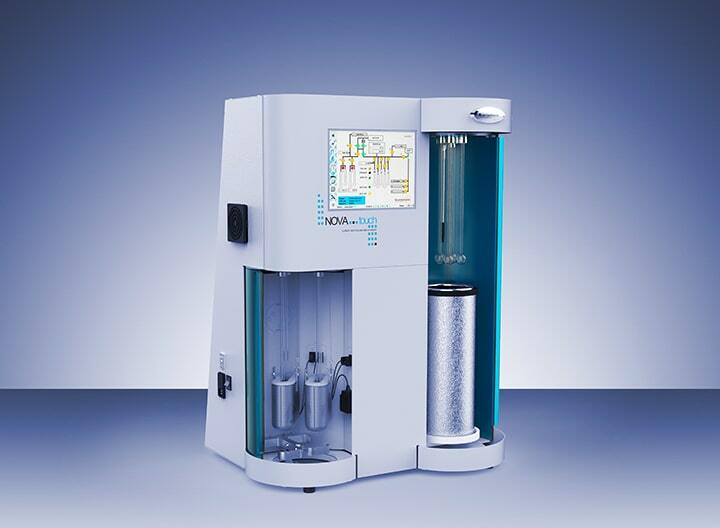 These rapid, high-throughput vacuum volumetric gas sorption analyzers provide quality control and research labs alike with the surface area and pore size analysis capabilities they require – and all this at an affordable price. Either two or four analysis stations with four built-in vacuum or flow degassing stations reduce the overall bench space while maximizing performance. A 21 CFR Part 11 compliant version of the software is available for pharmaceutical customers.